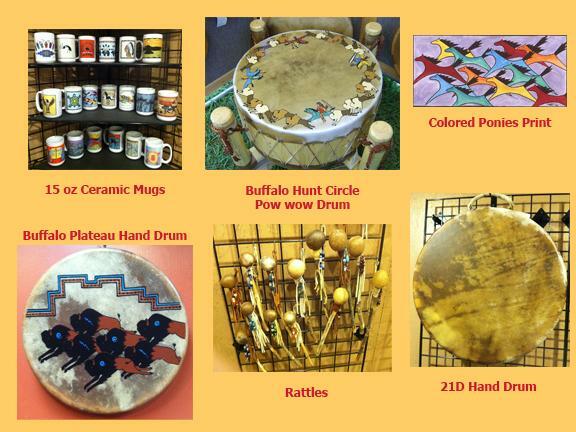 Welcome to Black Stone , the Native American inspired drum and art creations of Steve and Vicki Trout, located in Mansfield, Ohio. Established in 1994, Black Stone, featuring the artwork of Vicki Trout, has hand crafted over 10,000 drums, as well as numerous art pieces and two dimensional works. The drums, created by Steve Trout, are hand crafted from various woods and natural hides. A natural artist, Vicki Trout's talents include the beautiful hand painted drum art, artifact reproductions, and two dimensional works. And now we are proud to present our new line of gift items bearing Vicki's beautiful artwork. "If it isn't good enough for a native, it isn't good enough"
"If it isn't good enough to sign your name on, do better"
All drums and artwork produced by Black Stone are non-native American made. thus the term "Native American Inspired"